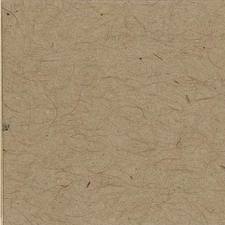 Since it is card month after all, I figured I would share with you my favorite card making supplies. Essential as far as I am concerned. I would choose this over white for most anything. You'll be seeing lots of this during card month. This comes in handy for almost every card I make! I have the Cutterpede. It is about 5 years old, still cuts straight, and doesn't take up a ton of room. If you are in the market, I would recommend this one. These are a must for me! One, they are about $7-$8 each. I can handle that for about 10-15 patterns of paper. The good thing about small paper pads for small things like cards is that the pattern on the paper is scaled down. Smaller project, smaller paper, smaller pattern. It just works. I love Cosmo Cricket (and way too many others)! Much easier than glue! 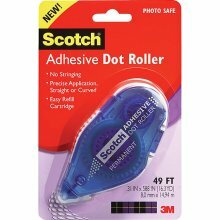 I use the Permanent Scotch Adhesive Dot roller. I have also used other brands and I am really not loyal to one brand or another. I try to stay away from ultra cheap rollers as I have experienced the glue drying up over time and paper falling off. Scotch hasn't failed me yet, so it is what I have been using for a while. What does this mean? Buy stamp sets that you will get some mileage out of. While I can't always resist a trendy, gotta have it cute stamp, I try to only buy a stamp set if I can think of at least 3 or 4 ideas to make with it. A large set of sentiment stamps is a good idea. That way you can make most any card and have it say the appropriate thing. Some of my favorite stamp brands are Hero Arts and Papertrey Inc.
What about you? What are your favorite, can't live without supplies? Do you have a stamp or paper company you l.o.v.e? Do tell! Thank you for your recommendations! I might as well print out your post and take it to the craft store -- all insightful ideas. 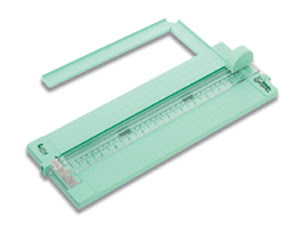 I'm in the market for a new paper cutter -- mine cuts CROOKED and has since the beginning. I'm new to card making, so I don't have any recommendations on supplies...but I would recommend saving decent sized scraps and strips(doesn't every crafty person do this anyway?) becuase they can be my biggest inspiration. How do you like your Cuttlebug? I'm thinking about getitng one, but not sure I'll get enough use out of it to make it worth it. Do you use it often? And, finally, you're gonna kill me -- I sent a really nice "get well" card in the mail today and forgot to photograph it first! Doh! Yes, I definitely save my paper scraps! I have a whole drawer full :) Sometimes I have to do a purge though - it gets out of control. I love my Cuttlebug. I got it a couple years ago with a coupon and I use it quite a bit. I have some embossing folders I use with it and some shape die cuts - simple ones like rectangles, a bookmark die, and a few others. There are all kinds of tools like this - sizzix, epic 6, and i saw a new tim holtz one. Let me know if you end up getting one - it is an investment, but if you get a few dies that you see yourself using often, it could be worth it! I echo what others have said so I'll add another. I can't live w/out my scoring board ( I have the Martha Stewart one) and bone folder. Even w/ scoring blades for my paper cutter(s) I still like using this boar. Great Post! 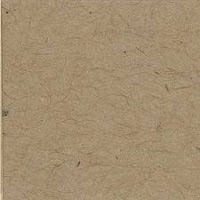 I too love kraft cardstock, I always buy those packs that they have at JoAnn's for under $5. I wish I had your post when I had to replace my paper trimmer ... My Fiskars one broke, and what did I buy? Another Fiskars. I know, something must be wrong with me, but I am a creature of habit and just was not sure if the other ones would work well. For me, when making cards I just love getting out a bunch of ribbons, and lace. I also like to use rubber stamps -- they have been having a lot of great ones at JoAnn's lately ... but right now, probably what I am most into are Tim Holtz products. I just made my husband an anniversary card using those Tim Holtz fragments .. I love those things ... and of course a ton of distress ink! 1. AC cardstocks - they are very good especially when using cricut in making shapes, these card never failed me. The color of the paper goes through the middle part and yes it is think! 2. Cricut! - oh, everybody loves to have great shapes and ready-to made designs! 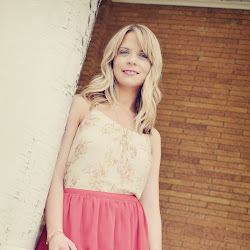 With Cricut everything is ready just set which design you want and voila it perfectly cuts for you! 3. Ribbons - they are gorgeous! Admit it any card/design with a ribbon creates an extra "ooommpphhh-ness" to the project.